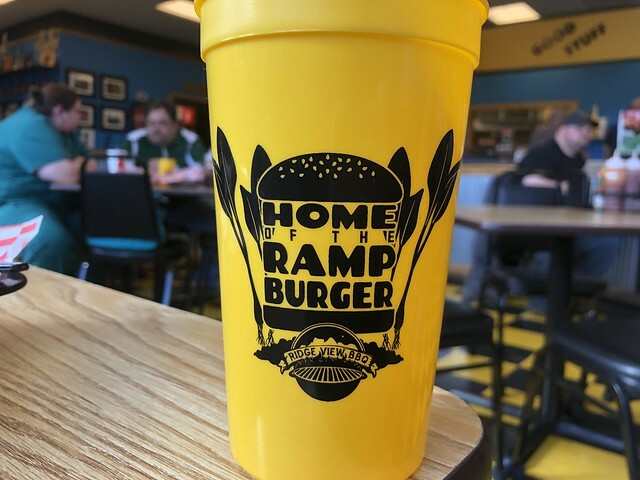 And for many of us, that means ramp dinners, ramparoni rolls .... and ramp burgers. 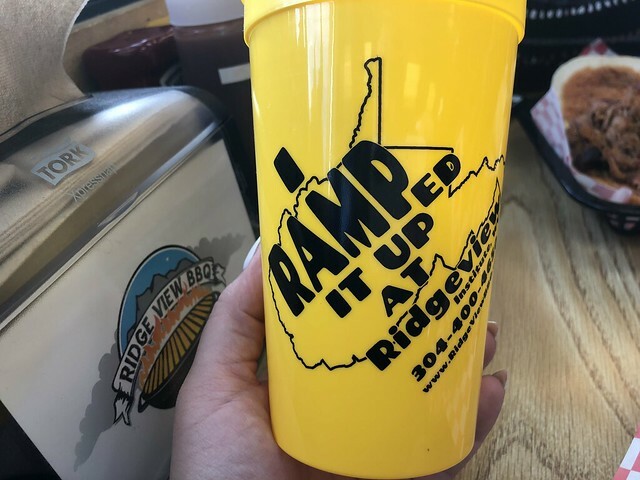 At least at Ridge View BBQ. 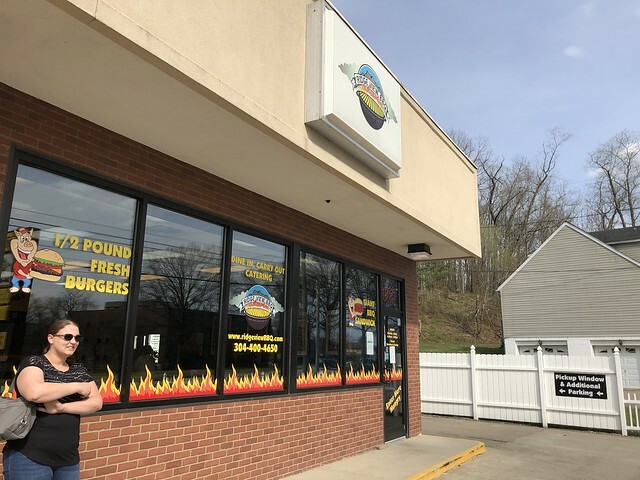 For the third year in a row, the BBQ restaurant has served their ramp burger to excited crowds who line up early in the morning to get the first one of the year. 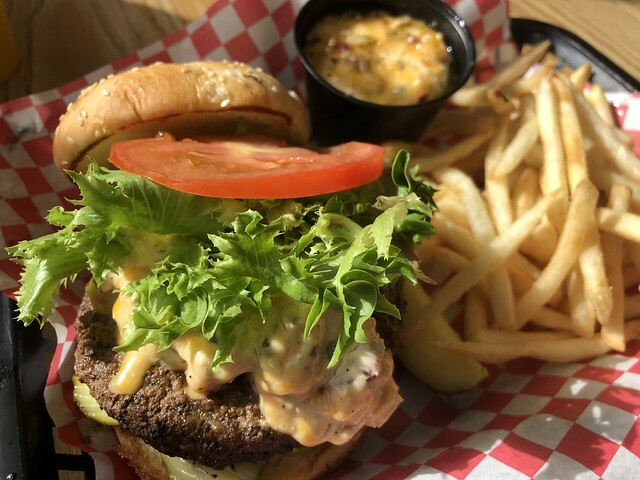 The burger is topped with a pimento cheese with bacon and ramps. 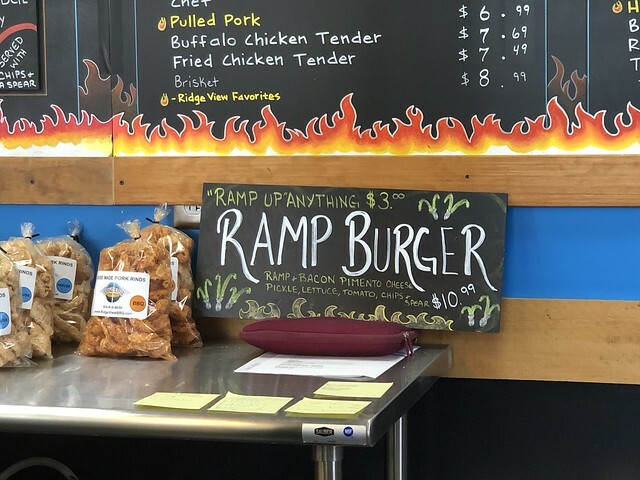 And, you can "ramp up" any other item - like I did with fries. 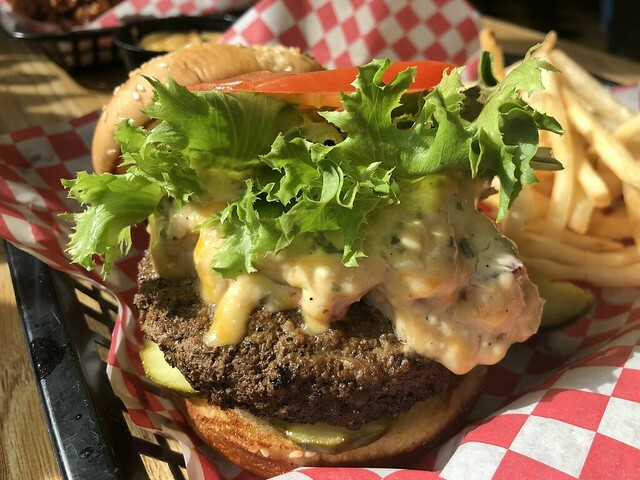 The burger comes topped with the ramp & bacon pimento cheese, as well as lettuce, tomato and pickle. And, you get a cool little souvenir cup. 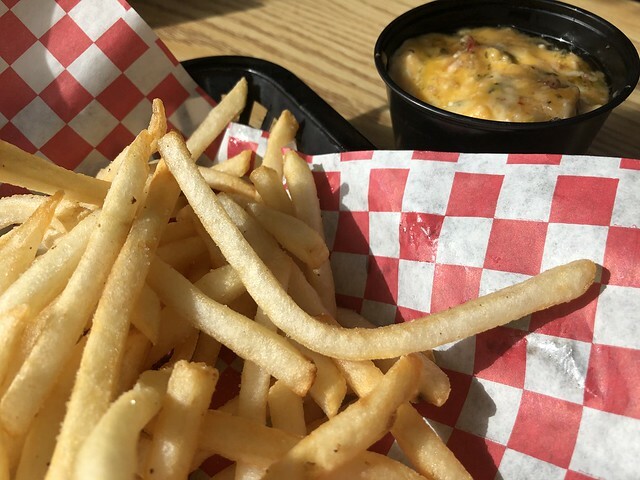 And here are the fries with the "ramp it up" on the side. What are your thoughts on ramps? 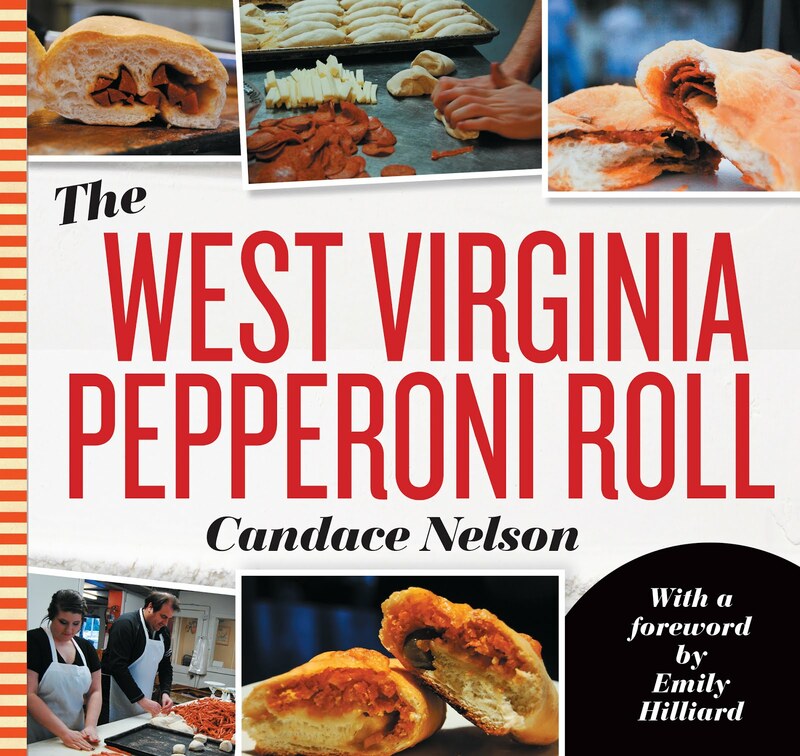 Have you had the special yet? 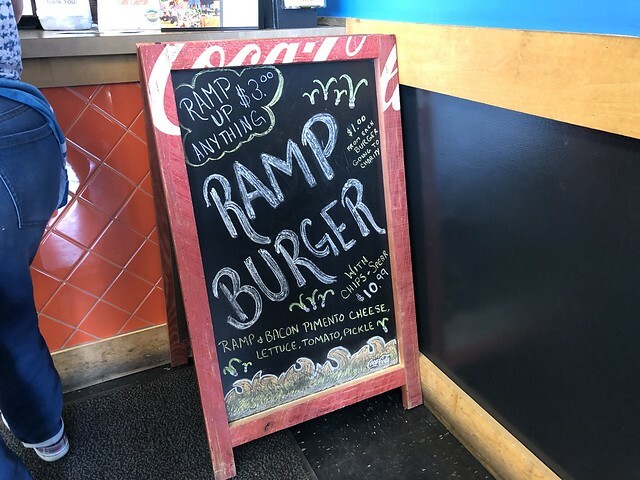 I love ramps, and Ridge View BBQ does a great job with their ramp pimento cheese spread. 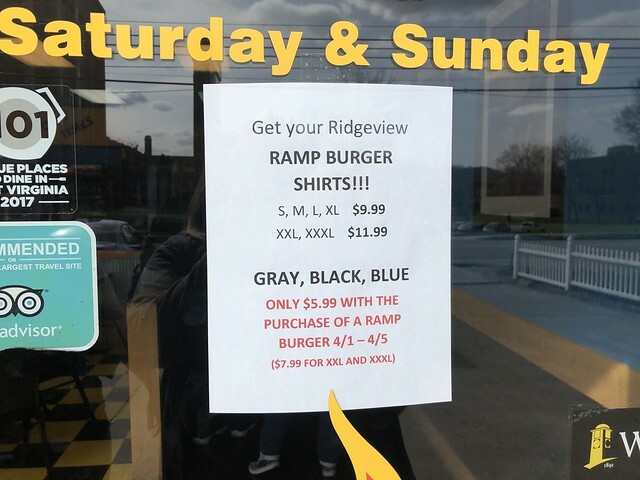 I only had one burger last year (the first year I'd heard about it), but I've already had my first of THIS year, plus bought the t-shirt. My wife and I plan on going back at least 2-3 more times while the ramps are still in season.